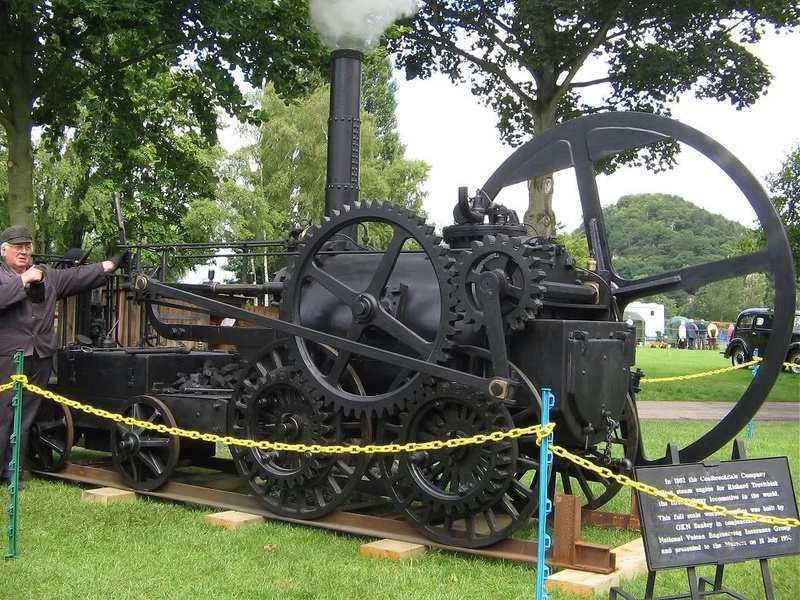 On 21 February 1804, the world’s first self propelling locomotive, the Pen-y-Darren, built by Cornish engineer Richard Trevithick ran along the Merthyr Tydfil treatment road from Pen-y-Darren to Abercynon a distance of 9.75 miles(16 kilometres). It all started n 1802, when Trevithick built one of his high-pressure steam engines to drive a hammer at thePen-y-Darren Ironworks in Merthyr Tydfil,Mid Glamorgan . With the assistance of Rees Jones, an employee of the iron works and under the supervision of Samuel Homfray, the proprietor, he mounted the engine on wheels and turned it into a locomotive. In 1803, Trevithick sold the patents for his locomotives to Samuel Homfray. The bet was won. Despite many people’s doubts, it had been shown that, provided that the gradient was sufficiently gentle, it was possible to successfully haul heavy carriages along a “smooth” iron road using the adhesive weight alone of a suitably heavy and powerful steam locomotive. Trevithick’s was probably the first to do so; however some of the short cast iron plates of the tramroad broke under the locomotive as they were intended only to support the lighter axle load of horse-drawn wagons and so the tramroad returned to horse power after the initial test run. Homfray was pleased he won his bet. The engine was placed on blocks and reverted to its original stationary job of driving hammers. In modern Merthyr Tydfil, behind the monument to Trevithick’s locomotive is a stone wall, the sole remainder of the former boundary wall of Homfray’s Penydarren House. A full-scale working reconstruction of the Pen-y-darren locomotive was commissioned in 1981 and delivered to the Welsh Industrial and Maritime Museum in Cardiff; when that closed, it was moved to the National Waterfront Museum in Swansea. Several times a year it is run on a 40m length of rail outside the museum. 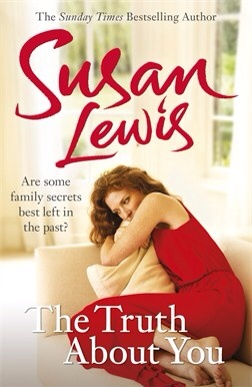 This week The Telegraph newspaper in association with WHSmith newsagents are also offering readers the chance to obtain the novel The Truth About You by Susan Lewis, from Thursday 20 February until Wednesday, February 26 at WHSmith High Street and Travel stores and at selected hospital stores. Excludes motorway service stores, outlet stores, Online, ‘Books by WHSmith’ at Selfridges, Harrods, Arnotts and Fenwick’s stores and WHSmith ‘Local’. The novel concerns Lainey Hollingsworth who has spent her whole life on the outside of a secret. Her mother would never discuss the reasons she abandoned Italy when Lainey was a new born, nor has she ever stayed in touch with the family she left behind. Now Lainey’s mother is dead, taking the secret with her, and leaving Lainey free to find out about her roots. Her husband, Tom, appears supportive, until he hits her with a bombshell that shatters the very foundations of their marriage. Another secret Lainey never knew anything about. Shaken, but more determined than ever to find out who she really is, Lainey takes her children to Umbria in search of answers. What she finds in the sleepy, sunbaked village of her birth turns her world inside out. I would like to watch The Book Thief when it is released in cinemas. In addition, To celebrate the release of The Book Thief, in cinemas on Wednesday, February 26, the Telegraph has teamed up with Black Swan, a Penguin Random House company and Twentieth Century Fox to offer readers a free copy of the book, by Australian author Markus Zusak, On Sunday 23 February from Martins, McColl’s and RSMcColl stores nationwide, which I would also like to read. The Book Thief, is, directed by Brian Percival and stars Sophie Nelisse, Geoffrey Rush and Emily Watson. It starts in April 1938, with young Liesel Meminger (Sophie Nélisse) traveling on a train with mother and younger brother when her brother dies. At his burial she picks up a book that has been dropped by his graveside. Liesel is then delivered to foster parents Hans (Geoffrey Rush) and Rosa (Emily Watson) Hubermann, because her mother, a Communist, is in danger. When she arrives, Liesel makes an impression on a neighbor boy, Rudy Steiner (Nico Liersch). Rudy accompanies her on her first day of school. When the teacher asks Liesel to write her name on the chalkboard, she is only able to write three ‘X’s, showing that she doesn’t know how to read. Later that day, she is taunted by her schoolmates who chant “dummkopf”. One of the boys, Franz Deutscher, challenges her to read just one word to which Liesel responds by beating him up. this impresses Rudy and they become fast friends. When Hans, her stepfather, realizes that Liesel cannot read, he begins to teach her, using the book that she took from the graveside. Liesel becomes obsessed with reading anything she can get her hands on. World War II breaks out and Liesel and Rudy become members of the Hitler Youth movement. While at a Nazi book burning ceremony, Liesel and Rudy are bullied into throwing books onto the bonfire by Franz, but Liesel is upset at all the books being burned. When the bonfire ends and everyone but she has left, she grabs a book that has not been burned. She is seen by Ilsa Hermann, the mayor’s wife. Hans discovers that she has taken the book and tells her she must keep it a secret from everyone. One day, Rosa, her stepmother asks Liesel to take the laundry to the mayor’s house. Liesel realizes that the woman who saw her taking the book is the mayor’s wife and she is scared she will be found out. Instead, Ilsa takes her into their library and tells Liesel she can come by anytime and read as much as she’d like. One day Liesel is found reading by the mayor who not only puts a stop to her visits but dismisses Rosa as their laundress. Liesel continues to “borrow” books from the mayor’s library by climbing through a window. During the infamous Kristallnacht). Max Vandenburg (Ben Schnetzer) and his mother, who are Jewish, are told by a friend that one of them (but only one) can escape and Max’s mother forces him to go. Max goes to the Hubermann’s house where Rosa and Hans give him shelter. Max is the son of the man who saved Hans’ life in World War I. Max is initially allowed to stay in Liesel’s room while recovering from his trip and they begin to become friends over their mutual hatred of Hitler, as Liesel blames Hitler for taking her mother away. Max is later moved to the basement so he can move around more, but it is colder in the basement and Max becomes dangerously ill. Liesel helps Max recover by reading to him with every spare moment. 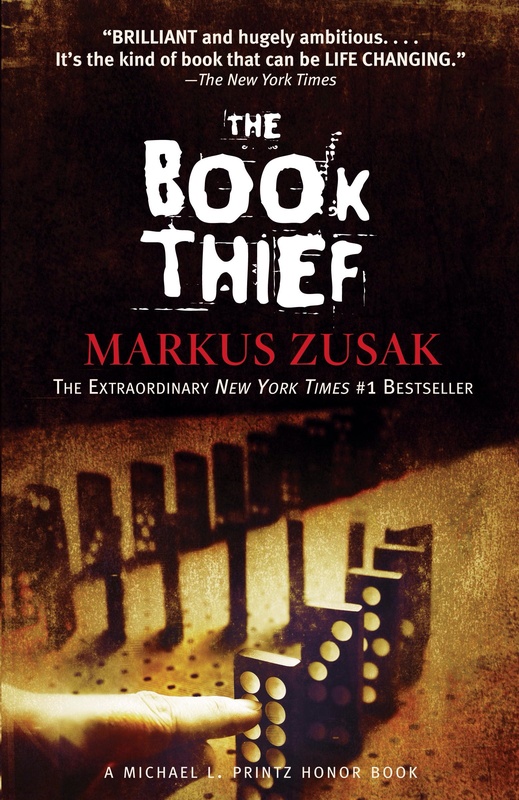 one day while borrowing a book from the mayor’s home, Liesel is followed by Rudy. He discovers the secret of the books, and also the secret of Max whose name he reads on a journal that Max gave to Liesel for Christmas. Rudy guesses that her family is hiding someone and he swears to never tell anyone. Franz overhears them and confronts them about their secret. Rudy is forced to throw the journal into the river to keep it away from Franz. After Franz has gone, Rudy plunges into the icy river to rescue the journal and Liesel realises that she can truly trust him. Soon a local party member comes by to check the Hubermann’s basement and they have to hide Max. However, they are told that their basement was being checked as a potential bomb shelter and realize they weren’t suspected of harboring a fugitive. While working one day, Hans sees a neighbor and friend being taken away by the police because they say he is really a Jew. Hans tries to tell the police that the man is a good German but his name is taken by them and he realizes what a mistake he has made, as this has made them visible. He tells the family and Max realizes he must leave in order to protect them. Hans then receives a telegram that he has been conscripted into the army and must leave immediately. On the way home from school one day, Liesel believes she has seen Max in a line of Jews being led on their way to a death camp, being marched through their town, and she begins screaming his name, walking through the line. Within a few days, Hans returns from the front, however, the family have only been reunited for a short time when the city is bombed Without warning With tragic consequences…. Jet Black’s style is usually simple and jazz-influenced, although “Duchess” and “Down in the Sewer” are examples of Stranglers songs that feature more frantic drumming. In the mid-1980s, Black elected to cease playing acoustic drums in the recording studio and used aSimmons kit triggered by pick-ups, most notably on the Feline and Aural Sculpture albums. Black is still currently drumming for The Stranglers, despite his advancing years. His name is frequently chanted by the crowd at concerts.Speaking ahead of their 2008/2009 tour, Stranglers bassist Jean-Jacques Burnel said: “None of us are getting any younger but our drummer, Jet Black, is 70 now so I don’t know how much longer he’s going to want to carry on. I mean, he was always a lot older than the rest of the band but I don’t think we’d carry on without him.”However, in October 2009, it was announced that the band (featuring Black) would embark on a 16-date tour in February and March 2010. Talk of his retirement abated and a full UK tour took place in 2011.